The concept of an integrated force provides decision makers with a robust, flexible and highly effective force that is capable of maximising the technological edge industry provides the Australian Defence Force, ensuring that the nation and its interests are protected. Developing the joint force was one of the key topics for the early sessions of the D+I conference held in Canberra, with the audience of key uniformed personnel and industry hearing from policy and capability acquisition and sustainment leaders about a number of subjects, including the importance of what Chief of Navy Vice Admiral Michael Noonan terms 'transformational relationships' across the capability acquisition, sustainment and operational life cycle of key platforms. Secretary of Defence Greg Moriarty highlighted the importance of the government's commitment to developing a truly sovereign defence industrial base and capability, with a focus on international primes. "The government's policy, be it the Naval Shipbuilding Plan, the Defence Export Strategy or the broader Defence Industry Capability Plan, sends a message; Australia expects that international companies will invest in the industrial capability of Australia," he said. Supporting this capability goes beyond the men and women in uniform, this is where industry becomes critical to securing national security. Moriarty declared a call to action to address the STEM shortages facing the nation's defence industry and the critical need for defence industry to recognise that they will need to compete with other established and emerging industries for the best and brightest minds working in the STEM fields. This call to action highlighted the need for industry to lead the way and support government's continuing attempts to address key STEM skills shortages, while also continuing to do their part in attracting the best and brightest minds to ensure that Australia's industry is capable of not only providing the technological and qualitative edge over potential adversaries in our increasingly contested region, but also ensure that Australia's defence industry is capable of competing on a global scale. Recognising the increasingly challenging nature of Australia's region and the contested environments the warfighters will be engaged in over the coming decades, Major General Kathryn Toohey, Head of Land Capability, outlined the Army's plan on modernising the key assets that provide Army's warfighting capabilities. Ranging from the recent announcement of the LAND 400 Phase 2 tender winner in the Boxer CRV and the upcoming LAND 400 Phase 3 request for tender, upgrades to the nation's M1 Abrams main battle tanks and the Army's expanding 'distributed lethality' capabilities with growing area-air defence, long-range rocket artillery and anti-ship missiles, categorised the rapidily evolving capability of the Australian Army. This penetration into the non-traditional domains of air and maritime battlespace highlight the growing importance of a 'joint force' and the role each branch plays in strengthening the warfighting capacity of the ADF. 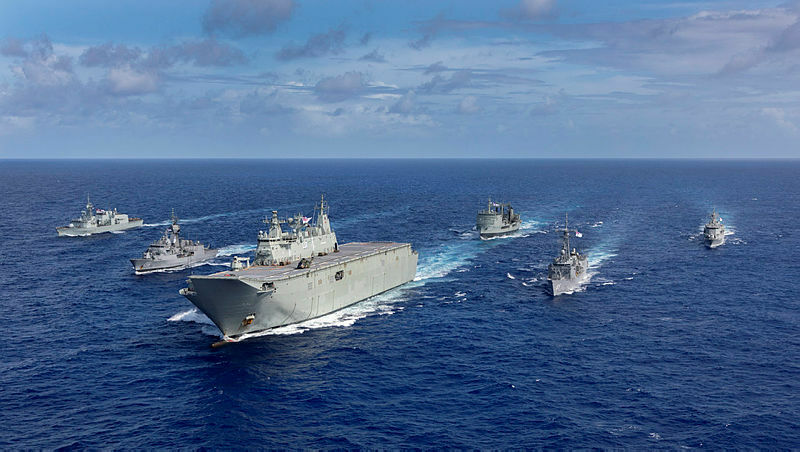 For VADM Noonan, the growing regional competition and increase in capabilities was important for developing Australia's maritime warfighting response. Navy, perhaps more than any other service, is critical to the security and prosperity of the nation and the government's Naval Shipbuilding Plan and growing collaboration with industry is critical to ensuring that the platforms and the personnel who serve on them are capable of "meeting our contract to government and the Australian people to ensure that Australia and its interests are kept safe". Industry collaboration and engagement is key to meeting the operational and material requirements of Navy, and VADM Noonan highlighted the importance of flipping the script when it comes to industrial partnerships and development with Navy. "We will not achieve our goals through the traditional transactional relationships, we need to have transformational relationships which provide leading edge capability for our future integrated force," he said. This is critical as in the development of a 'joint force' Navy provides key capabilities across the breadth of the established and emerging operational environments, from traditional maritime patrol, interdiction, surface and sub-surface warfare, to the growing ballistic missile defence, area-access denial and ISR capabilities. Air Force is currently undergoing a major capability transformation of it's own, with the transition to the fifth-generation F-35, the introduction of the P-8A Poseidon and modernisation of key assets like the E-7A Wedgetail providing a breadth of resources and capabilities for the policymaker and warfighter operating on land, at sea or in the air. This capability transformation has leveraged industry involvement heavily, as both defence primes, like Lockheed Martin, Boeing and Northrop Grumman working with Australian SMEs like Quickstep, Marand and Chemring to provide domestic and international supply chain and logistics opportunities. The growing importance of integrated, global supply chains, particularly those supporting international projects like F-35, has highlighted the role domestic industry can play an enhancing the capability and development of a joint force. Deputy Chief of Air Force, Air Vice-Marshal Gavin Turnbull AM, highlighted the importance of platforms, personnel and industry successfully combining to develop a fully integrated joint force. "Success in conflict will require the ADF to have a joint force, whereby all of the individual components, not just the platforms, but the people work together to create a meaningful contribution to the joint force," he said. The importance of industry cannot be understated and is essential for Australia to develop the next-generation combat capabilities that will ensure Australia's national security. For the defence apparatus to work effectively, efficiently and for industry to emerge as a competitive and attractive domestic employer and economic driver, industry needs to collaborate with defence in a more 'transformational' way.